All Happy Valley homes currently listed for sale in Happy Valley as of 04/25/2019 are shown below. You can change the search criteria at any time by pressing the 'Change Search' button below. If you have any questions or you would like more information about any Happy Valley homes for sale or other Happy Valley real estate, please contact us and one of our knowledgeable Happy Valley REALTORS® would be pleased to assist you. 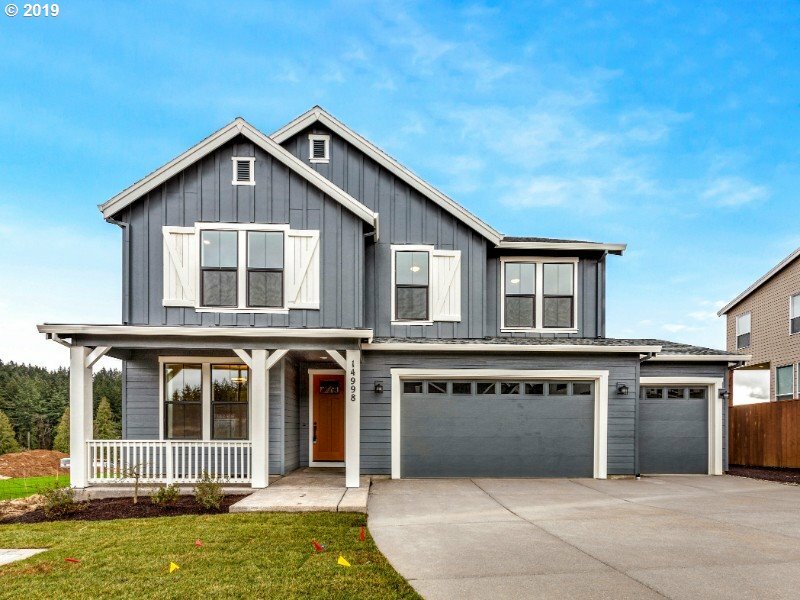 "Custom contemporary farmhouse inside gated community, showcased in the 2017 Happy Valley Street of Dreams - Designed by award winning architect! 1 LEVEL LIVING w/ media/bonus room upstairs! Private Master suite w/ fireplace, wet bar and opens to mini pool - Home designed to entertain in class w/ temp controlled wine cellar and ''bi-fold door system'' creating a tranquil indoor/outdoor living space! 3 car garage w/ dog wash and home gym!" "Spectacular home with sweeping views of the city, mountains, and territory. Master on main. Open greatroomn. Gourmet kitchen w/ professional appliances, walk-in pantry. Lower level w/ plenty of space for wet bar, game room, theater and bonus room. Ability to select finishes, upgrade, or change plan. Photos are of built homes. Illustrations may or may not reflect actual final product. Price subject to selections and plan revisions." 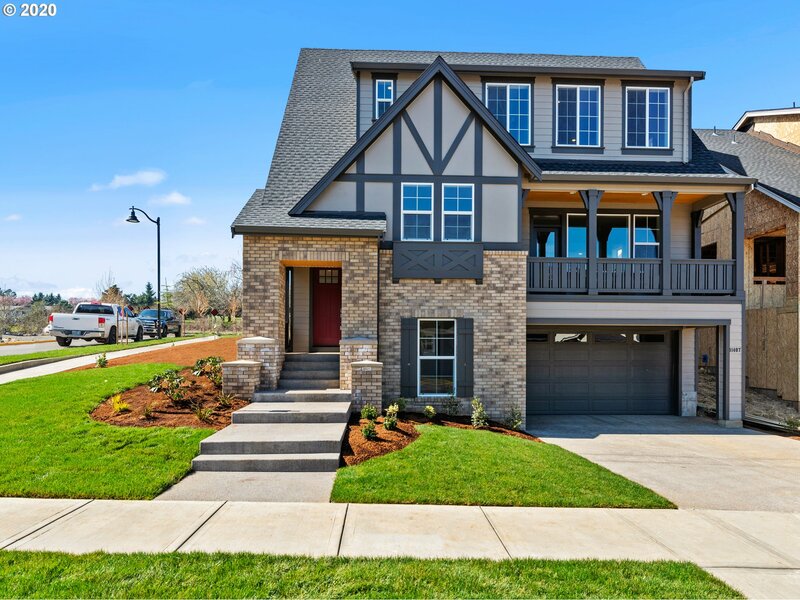 "A timeless contemporary, this 2014 Street of Dreams home matches energy efficient systems & technology w/enduring design & luxurious appointments. 3700SF (of total 4865SF) is main level living, includ 2 master suites(1 ADA). Elegant great rm transitions seamlessly to outdoor living. Covered patio & gas fireplace invite year-round enjoyment. Welcoming kitchen, theater rm & exquisite bar offer gracious living & entertaining. Open 4/7 1-4p"
"Build your dream home with spectacular view of Mount Hood and Valley. Proposed homes are situated on large 20,000 sq. ft lots. Bring your own builder or use our custom luxury home builder. Photos are examples of plans from the builder. Seller has plans but minor modifications are considered." "A brand new magnificent custom home that is warm, elegant and grand. You will be impressed with the scale, style, and high-end finishes. Located on a gated street in prestigious Altamont that offers incredible views of Mt St Helens & City lights, plus it is secluded. Beautiful gourmet kitchen, box beam ceiling in dining room and a spectacular great room with soaring vaulted ceilings. Luxurious master on the main." "Custom built home by Street of Dreams builder. Quality abounds in this newer construction home with spectacular views. Two master suites ~ Open, inviting great room concept ~ Large, entertainer's kitchen ~ Lower level media room, workout room, along with bonus space and extra storage ~ Outdoors you'll find a water feature including Koi pond, sport court, stone patio and large covered deck. Make sure to ask about buyer incentives!" "That time is now....Picture yourself in the pool or over-sized outdoor jacuzzi, while gazing out at the territorial valley views.Interior boasts heated travertine floors, a beautifully updated granite kitchen and high end appliances.Enjoy time in your own dry sauna!There is also an upgraded security sys and 11 zone sound control.Home is absolutely stunning!" 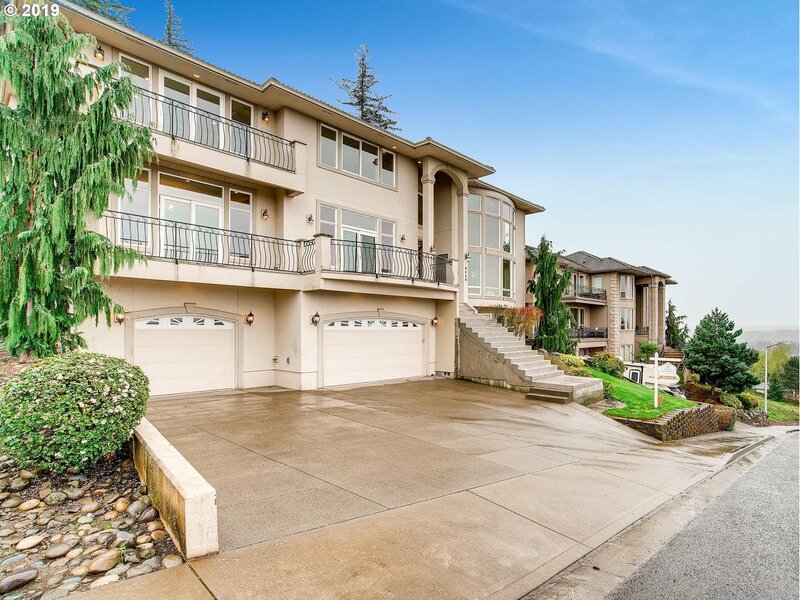 "Beautiful custom Happy Valley home with huge views of downtown Portland and Mt St Helens. Enjoy the spectacular city lights at night! When entering this magnificent home your eyes will be drawn to the spacious entry and open living area. Enjoy an extra big sauna with dressing room and shower. Walk out onto one of the decks to take in the breathtaking view. Home theatre, wine bar, and more! All this in a special gated community!" "Call for gate code.5be, 4/5 ba. custom home that is warm, elegant and grand. scale, style, and high-end finishes. Located on a gated street in prestigious Altamont that offers incredible views of Mt St Helens & City lights, plus it is secluded. Beautiful gourmet kitchen,"
"Stunning is an understatement when describing this spectacular custom home! The kitchen & dining area are delightful with beautiful stone & granite. Gather with friends & enjoy the gourmet top of the line kitchen-aide stainless steel appliances with an 8 gas burner range,& dacor espresso machine. Theater room & dramatic windows,15 ft ceiling & heated floors. The floating staircase will make sure you're getting all those steps in!" "Absolutely spectacular showplace, custom built with oversized picture windows to capture the unobstructed majestic views of the valley and city lights from the spacious and inviting great room and master suite of this luxury home. First time on the market and perfectly situated in Happy Valley, don't miss this five-bedroom, four bathroom, 5643 sq ft home situated on a .80 lot with additional parking pad and no HOA!" "Gorgeous dayranch floor plan built by Street of Dreams builder. Sweeping valley and city views. Gated community. Master on main.Covered deck to enjoy the views. Pick out all your finishes to make this the home you always wanted. Main level has master and den. Bsmt w/ 4 more bdrms, full bath & 2nd FR. On the plan in bsmt, Future 4 bd and workshop is finished. Close to shopping, downtown and airport. Call for more details." "Gorgeous property on top of the hills, with a phenomenal view. Huge open layout, with room for guests, family and friends. Walk-in closet in the Master Bedroom, fireplace, jet tub, and a large walk-in shower. Extra family/video game room. Open living space, library/den, dinning room, breakfast nook, and beautiful open concept kitchen with granite countertops, walk-in pantry. The community is gated, with great privacy." 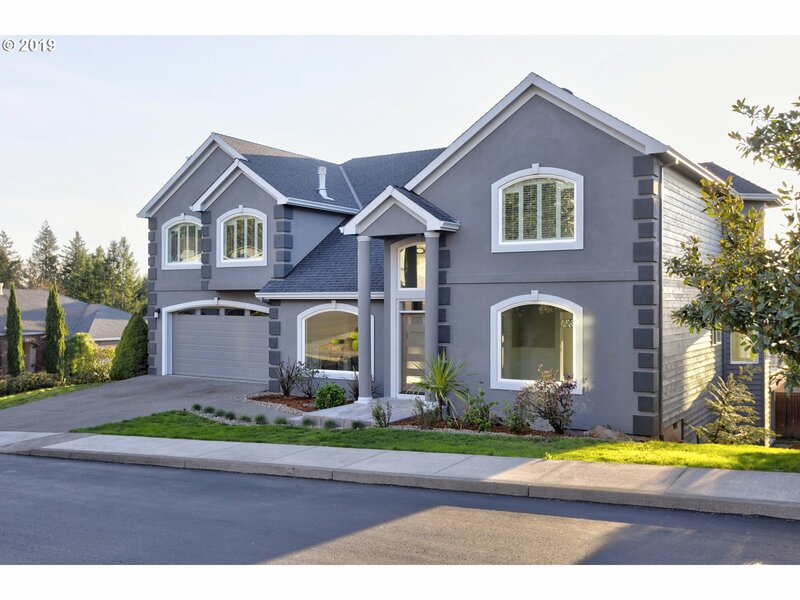 "Gorgeous contemporary 2 level home with an unfinished daylight bsmt. Bsmt framed for 2 bdrms, FR and bath. Street of Dreams builder. Gated community with gorgeous city, mountain and territorial views. Pick out all your finishes. Huge 2 level greatroom. Covered outdoor living to enjoy the gorgeous views. This plan is a complete show stopper. Close to shopping, downtown and airport. Call for more details." "Street of Dreams builder. Beautiful subdivision located by 2014 Street of Dreams. Outstanding floor plan. Master suite on each level. All 3 bdrms upstairs have their own bathroom. Huge 21x20 great room. Big kitchen with eating bar and pantry. Formal DR. Den on main. Big vaulted bonus rm/5th bd up. Sitting rm/family rm up with fireplace. Pick out all your finishes to make this your dream home. Call for more details." 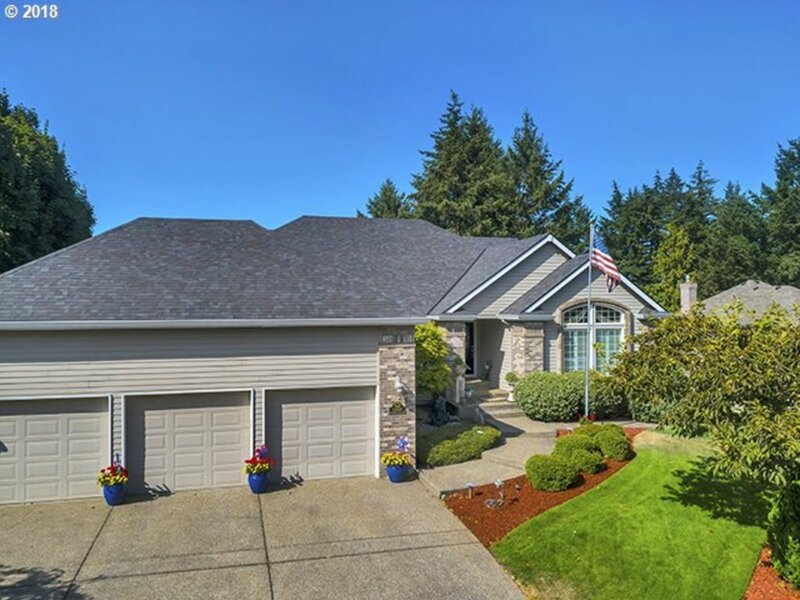 "CHARMING CRAFTMAN, ORIGINAL BUILDER HOME IN A QUITE FRIENDLY NEIGHBORHOOD.GARAGE CAN CONVERT BACK TO TANDEM.HOME WAS BUILT WITH MANY UPGRADES INCLUDING BUILT-INS, LARGE KITCHEN ISLAND, WITH HIGH END APPLIANCES, THEATER ROOM, MOTHER IN-LAW UNIT WITH SEPARATE ENTRANCE--. ALSO BOASTS WITH OASIS BACK YARD WITH WATERFALLS/ FOUNTAINS/KOI POND/PUTTING GREEN/PLAY HOUSE/BUILT-INS GAS FIRE PIT,STONE BENCH,GAS BBQ/SOLARS/PREGOLA"
"Custom Happy Valley Home Built by Street of Dreams Builder. 2 Masters (upstairs/main floor). 2 Laundry Areas (upstairs/main floor). Custom finishes throughout. Additional RV parking. Rare Level Lot with Quaint Private Backyard, including Gas/Wood Fire Pit & Covered Patio Area for Easy Entertaining." "Contemporary, Custom European Marvel! Tired of boxed rooms and routine layouts? Sweeping staircases up and down. Marble and Italian Porcelain flooring. Curved hallways w thick iron rails. High ceilings throughout with multiple sitting rooms. Floor to ceiling windows. Separate living quarters. Double decks. Clear city views backing to greenspace. Original Owners. Spacious usable private lot. All in Gated Altamont. Click Vtour for Video." "Truly wonderful floor to ceiling remodel High end finishes through out the home. Open floor plan marble kitchen, formal dining room. 3 levels make this home perfect for entertaining.Enjoy some spectacular sunsets and view of the city from the deck off the master bedroom with firplace Sought after Altamont neighborhood. This place really affords plenty of room for anything you can think of. Nothing to do but move in!" 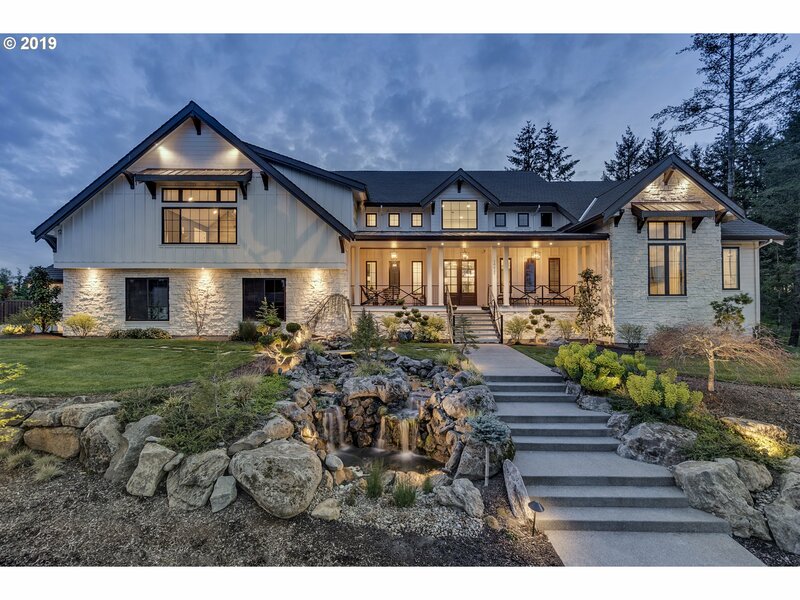 "One of a kind custom built home with stunning 180-degree territorial views. South-facing windows allow for light to fill the expansive space. Master bedroom on main & second level. High-end appliances, slab granite, custom rope milled cherry wood in the kitchen, and gleaming hardwood floors throughout the main level. Additional living quarters on the third level with laundry, full kitchen, and separate entrance." "This elegant proposed custom home built by Steve Gibson Construction has everything you could ask for. 4 bedrooms, 3 baths, 2939 sq ft w/ 3 car garage. Make sure to check out the attached standard features list. Our standards are other builders upgrades. Situated on a hard to find 10K lot in Happy Valley." "This house is stunning with Mountain views. Master suite, bedrooms and bathroom with double sinks on the main level. Beautiful designer Master bath. Office on main level and upstairs bonus room, second office and media room. Hardwood floors, beautiful granite and marble counters. Large deck off the kitchen to enjoy the spectacular outdoors. Huge half acre lot. 1000' extra storage, sport court & RV parking. You will love this house!" "Toll Brothers, America's Luxury Home Builder, is finally building in the Portland area! Experience the exceptional quality, while personalizing your home with our extensive design studio, choose your homesite with panoramic views, and customize your floor plan with structural options. Scouters Mountain offers green space and trails all right in Happy Valley! This Florence floor plan is breaking ground in April, design yours today!" "Chef's kitchen with painted wide rail shaker maple cabinetry, quartz countertops, SS Verona dual fuel range, KitchenAid built-in micro, dishwasher, & canopy hoodvent. Engineered h-wood in foyer, kitchen, dining, greatrm. Double sided gas fpl w/wood ledge mantle & stacked stone to ceiling. Master suite feat. 5'x4' all tile shower and freestanding tub. Quartz slab counters & undermount sinks in all baths."